Check out what's new in my world! “My Dinner With Schwartzey” is an official selection at the Bermuda International Film Festival. “Less Heat in Arizona” is making its Premiere at the Garden State Film Festival and screening at the Crystal Palace International Film Festival in London. The pilot “East” has been selected to screen at the Los Angeles Women’s International Film Festival. And Patiri in the Promiseland is also being screened at the Garden State Film Festival. Beyond proud to be a part of so many incredible films and being gifted the trust and opportunity to play these wonderfully different, challenging roles. I LOVE MY JOB!!!! Had so much fun shooting this little diddy with the awesome peeps at “Bull”. Lucky me, getting to play with Freddy Rodriguez, Paul Ben Victor and directed by powerhouse Bethany Rooney. “Split Hairs” airs Monday January 21st at 10pm EST. And it’s a wrap on this hilarious comedy about feminism and motherhood written and created by Dava Krause, directed by Fia Perera. My good fortune to work with Dava, Flora Diaz and Nikkole Salter. Coming soon! Just wrapped the independent film, Yes, written by the multi-talented Tim Realbuto and directed by the fab Rob Margolies! 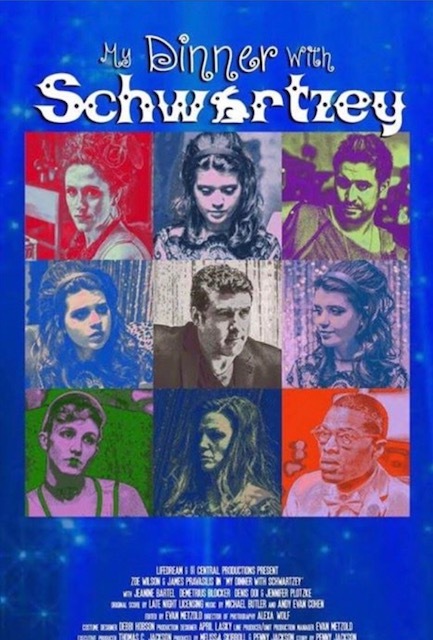 Tim Realbuto, Nolan Gould, Jenna Leigh Green, Oscar Nunez, Natalie Roy, Jeanine Bartel, Drew Powell, Siobhan Fallon Hogan, Colin Hanlon, Michael Nigro, Melanie Sosi, and a very talented ensemble! its an adventure with a heart.